When Dr. Jolliffe interviewed for a position with the University of New Brunswick’s faculty of business in Saint John in 2000, she was asked about her research activities and how they might fit in with the research goals of the faculty. As former operator of Mrs. Proffit’s Tea Room in Victoria-by-the-Sea on PEI, and a museum studies scholar, Dr. Jolliffe was intrigued by Saint John’s historical connections to Red Rose Tea and Barbours. “To me, UNB was the ideal place to establish my research roots on tea and tourism,” says Dr. Jolliffe, now a professor of hospitality and tourism. Recently, Dr. Jolliffe completed a hands-on project with Moe Nakashima, an agricultural undergraduate student from Kochi University, Japan. 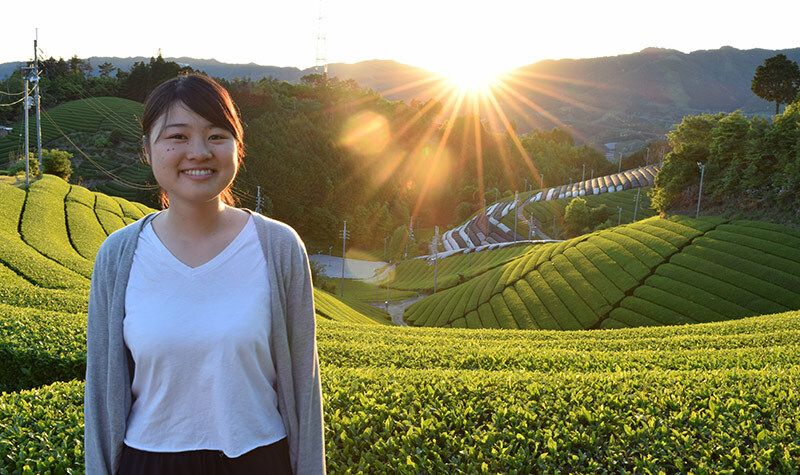 In their study, they observed how tea-related tourism has emerged in Japan’s tea villages and how it could potentially be a viable form of responsible rural tourism. Chris Beardsworth, director of UNB’s International Recruitment Centre, facilitated the match between Dr. Jolliffe and Ms. Nakashima. “Moe Nakashima’s work at UNB with Dr. Jolliffe is a fine example of the unique experiential learning opportunities UNB is able to provide our international students,” says Mr. Beardsworth. “During her studies in Japan, Moe became interested in tea tourism and she happened to find my book, Tea and Tourism Tourists, Traditions and Transformations, published by Channel View Publications in 2007,” says Dr. Jolliffe. Coincidentally, Mr. Beardsworth visited Kochi University as part of UNB’s recruitment activities and the rest happened organically. “Next thing we knew, Moe was travelling to Malaysia to brush up on her English, and then she flew to Canada to begin an independent study on tea tourism with me,” says Dr. Jolliffe. Tea in Japan is typically grown and processed between May and October and tea-related tourism often picks up around this time. Activities include tastings, field tours, festivals, homestays and other tea-related activities. As part of her studies at UNB, Ms. Nakashima also gave a tea demonstration at Barbours General Store in Saint John. Unique experiences like these counted toward her credit requirements for the independent study course. At the end of the course they proposed a book chapter on tourism in Japan’s rural tea villages. Dr. Jolliffe and Ms. Nakashima’s chapter, “Responsible Rural Tourism in Japan’s Tea Villages,” is in press in Responsible Rural Tourism in Asia, to be published by Channel View Publications in 2019. After Ms. Nakashima completed her term in Canada, she and Dr. Jolliffe were able to travel to Japan to complete fieldwork for the chapter. This included participant observations during a tea tour and an internship, as well as interviews with tea farmers and community stakeholders. Photo: Moe Nakashima in front of tea fields in Wazuka, Japan. Credit: Kate Popham.